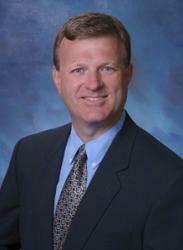 Dr. James Cherry has been in private practice in Jacksonville, Florida since 1986. He graduated from Emory University School of Dentistry in Atlanta, Georgia and completed his oral and maxillofacial surgical training at Jacksonville Health Education Programs, now known as Shands. He is a diplomate of the American Board of Oral and Maxillofacial Surgery and the National Dental Board of Anesthesiology. His practice is heavily weighted toward comprehensive dental implant surgical care including all types of bone grafting and restorative solutions. Dr. Cherry lectures internationally and has been involved in prelaunch trials and investigational studies on behalf of Nobel Biocare, the world’s leading dental implant company. His work on these studies has been published in renowned professional journals. Whether your needs include removal of wisdom teeth, bone grafting, or comprehensive dental implant care, Dr. Cherry has the experience to meet your needs and will strive to exceed your expectations.